Peter Schouten was born in Sydney, Australia. 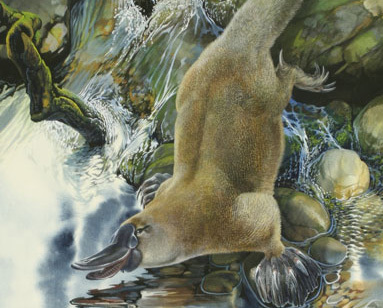 From a very early age he developed a passion for all things feathered, furred and scaled – both extant and extinct – which led to a budding career in palaeontology. 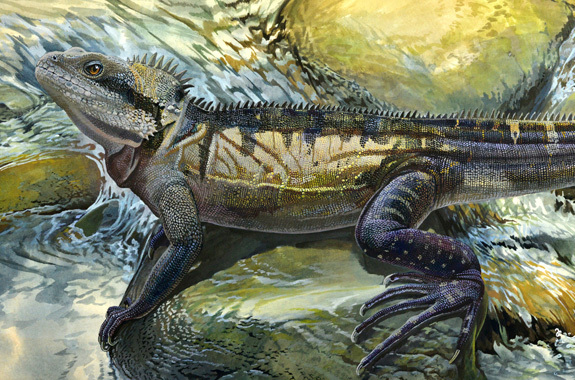 His first artistic reconstructions in this field, when presented to the Australian Museum, were subsequently published by them as the book ‘Prehistoric Animals of Australia’. The success of this book led to employment as a technical illustrator within the school of zoology at the University of New South Wales. After several years he left this post to commence his career as a freelance wildlife artist – a career which to date has encompassed many books and exhibitions. One of his most recent commissions, the so-called Hobbit, received significant attention when it featured on the front page of most newspapers around the globe. 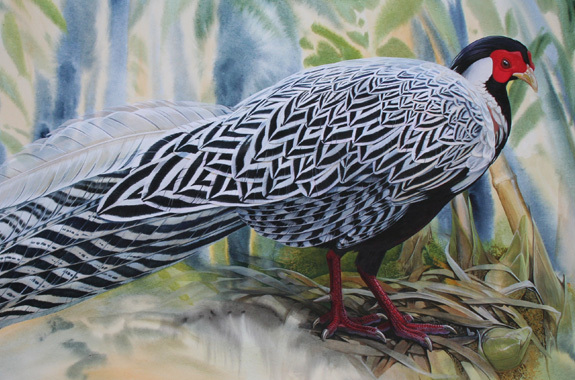 His commitment to his craft continues unabated, and he particularly delights in painting creatures that either cannot or have not been photographed, due to extinction or rarity. It is also his aim to draw attention to the unfortunate plight of many of these creatures and to emphasise the need for urgent conservation. This was essentially the premise of his recent books ‘A Gap in Nature’ and ‘Astonishing Animals’, which for many provided the first, startling images of these wonderful animals, either lost or rare. Continuing in this vein, he has recently completed work on a new collection which challenges all of our preconceived images of those truly colossal animals of the past – the dinosaurs. This book, entitled ‘Feathered Dinosaurs – The Origin of Birds’ was published in May, 2008, by CSIRO Publishing. It was published in North America by Oxford University Press (America) in September, 2008, and is still currently in print. This was followed by the August, 2012 publication of ‘Gliding Mammals of the World’ (Stephen Jackson & Peter Schouten), which is a beautifully illustrated and comprehensive monograph of all gliding mammals. 1983 Whitley Awards for books on Australian animals or history of Australian zoology – highly commended. 1984 Wildlife Society of Australia – annual prize for drawing. 1989 Faber Castell Drawing Competition – highly commended. 1997 Whitley Awards – Gold Medal for most outstanding book of the year : ‘Tree Kangaroos, A Curious Natural History’. 1997 Colin Roderick Literary Award – prize for most outstanding book on an Australian subject. 2002 Victorian Premier’s Literary Awards – Science Writing, ‘A Gap In Nature’, – highly commended. 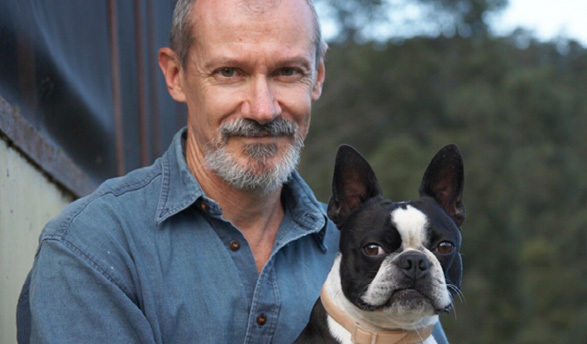 2005 Victorian Premier’s Literary Awards – Science Writing, ‘Astonishing Animals’ – Winner. 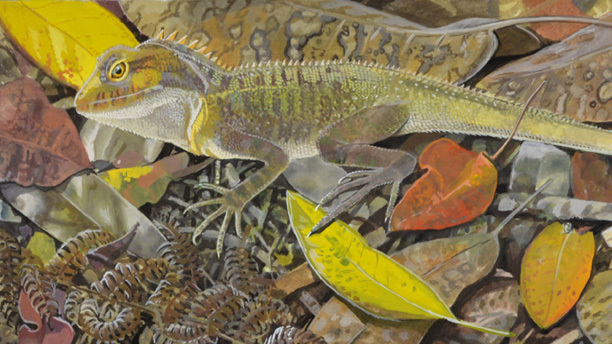 2015 Awarded Member of the Order of Australia in recognition of his service to the visual arts as a wildlife and scientific illustrator, and for his commitment to the preservation and documentation of Australian natural history. 1984 Wildlife Society of Australasia Annual Exhibition. 1989 Faber-Castell Annual Drawing Exhibition. 1993 W.I.R.E.S. Wildlife Art Exhibition. 1994 W.I.R.E.S. Wildlife Art Exhibition. 1995 W.I.R.E.S. Wildlife Art Exhibition. 1997 Christies (U.K.) – Annual Wildlife Art Auction. 1999 Christies (U.K.) – Annual Wildlife Art Auction. 2007 ‘Animal Ornata ‘ exhibition of 30 paintings highlighting the adornment and ornamentation of obscure wildlife. Held to commemorate the opening of the new wing of the Manning Valley Regional Art Gallery. ‘Manning Wild ‘ An exhibition of extant flora and fauna of the beautiful Manning Valley. ‘Into the Wild’ This exhibition at the Manning Regional Art Gallery is an eclectic mix of subjects including original as well as published images from books past and present – 7 March till 14 April 2019. Featuring paintings from ‘End of the Megafauna’.